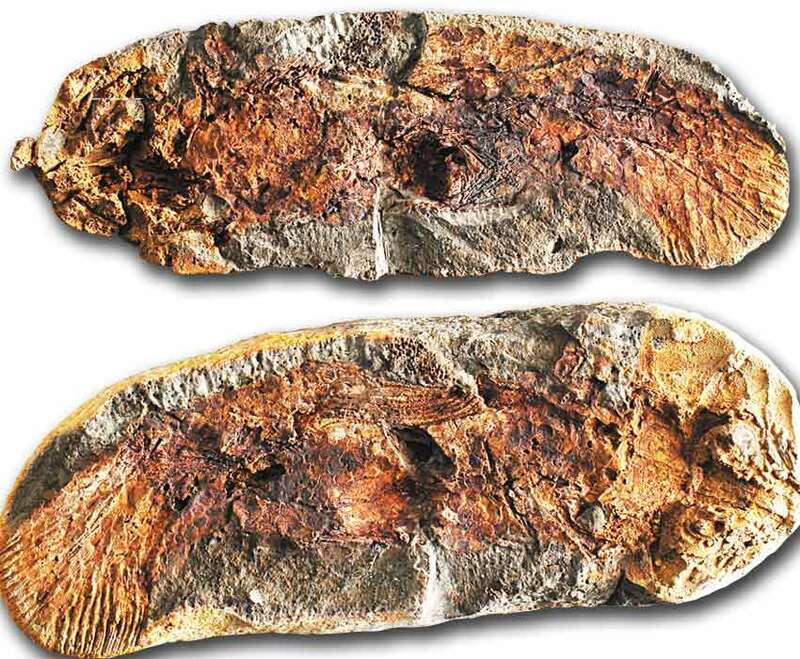 This fossil, which shows that an approximately 95-million-year-old catshark was identical to those living today, invalidates all evolutionist claims. If a living thing has undergone not the slightest change over tens of millions of years, then there can be no question of living things evolving. No evolutionary process of the kind alleged by evolutionists ever took place. There is no difference between the 95-million-year-old catshark in the photograph and specimens alive today. Allah creates all the living things in the universe. Sardines live in shoals. 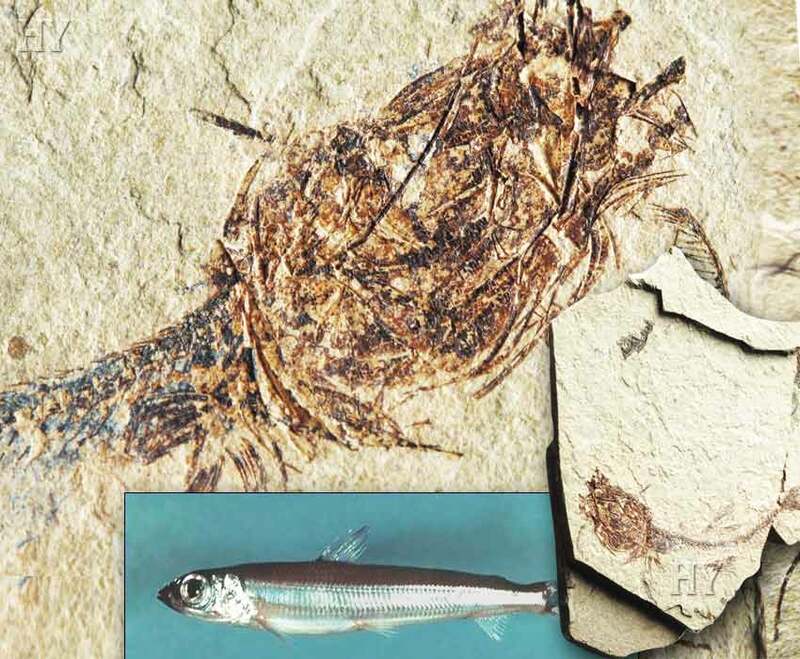 Several sardines have been petrified at the same time in this 54 to 37-million-year fossil. The fossil is evidence that sardines were created in a single moment, together with all their characteristics, and that they have not altered over tens of millions of years. The head structure, the small fins on top of and underneath its body and the forked tail can all be seen very clearly in the fossil. Like all life forms in the universe, sardines are the work of our Omniscient and Almighty Lord. Sturgeon, which comprise the family Acipenseridae, are the world’s largest freshwater fish, but also live in the sea. Some of them reach up to five meters (17 feet) in length. Sturgeon can weigh over a ton. These fish have two fins on both sides of their head and body, four whiskers and long, thin jaws. The 125-million-year-old fossil remains of this life form are identical to specimens living today. 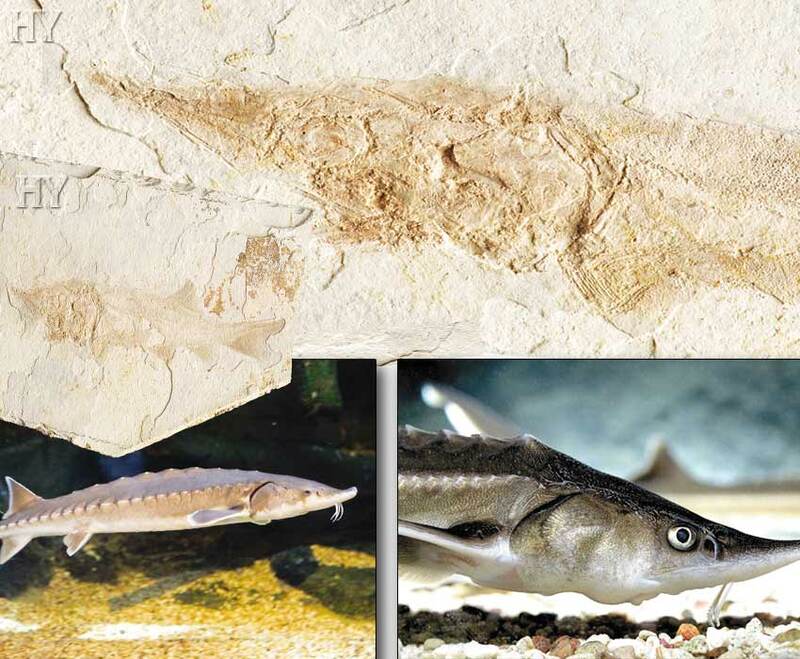 With its structure that has remained unchanged for millions of years, this Cretaceous period fossil sturgeon defies the theory of evolution. Students in schools around the world are taught a myth of evolution that never happened. According to this myth of evolution, life forms developed into one another through a process lasting millions of years. Yet the fossil record dating back millions of years refutes all these claims. 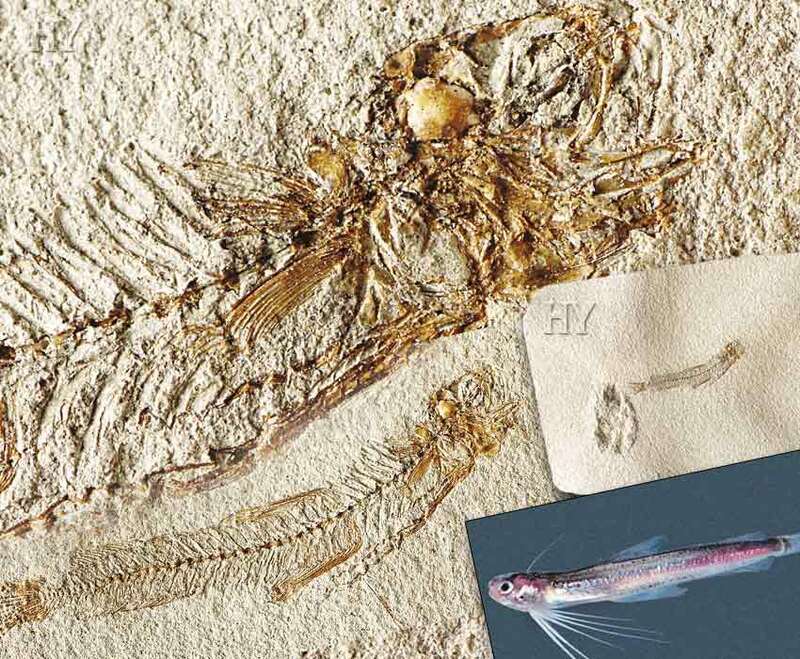 A comparison of the fossil strata and specimens living today shows us that fish have always remained fish, reptiles have remained reptiles, birds have remained as birds and monkeys have remained as monkeys. Indeed, the fossils of living things are so clear in the rock strata, with all their details, their tail structures, their heads, and fins or wings, that evolutionists no longer have the means with which to defend the theory of evolution. 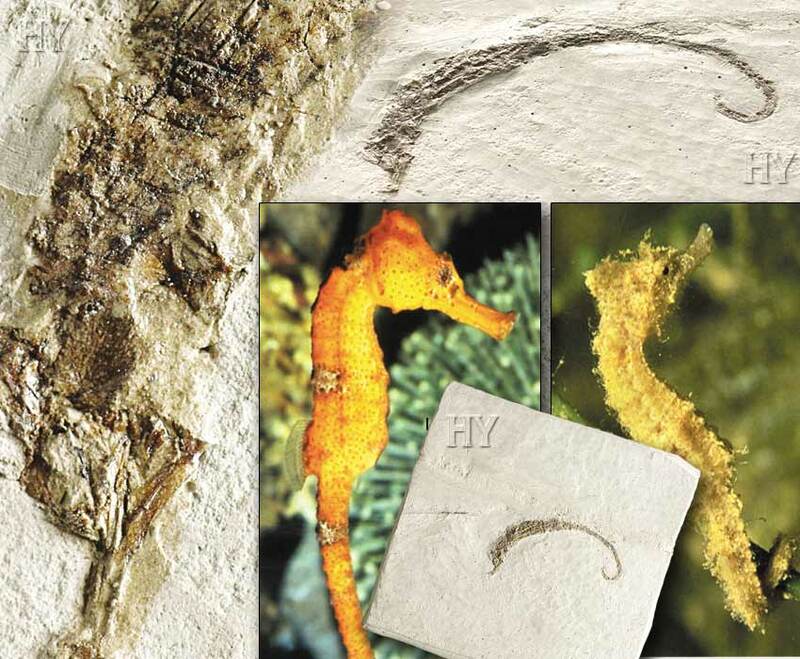 The unique appearance of the sea horse, from the family Syngnathidae and the genus Hippocampus, can be seen very clearly in this three-million-year-old fossil. 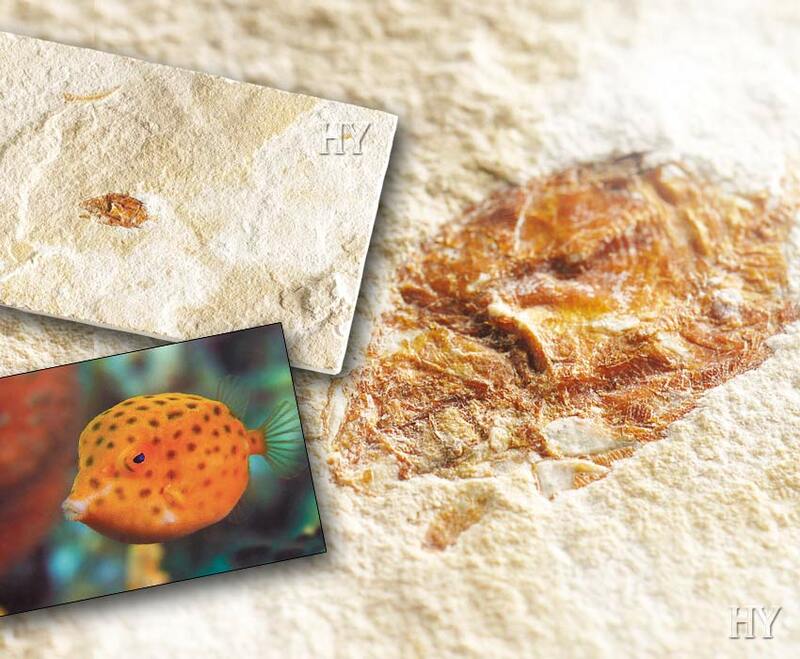 This living thing proves creation by having remained unchanged over millions of years. Eels, from the family Anguillidae, live in rivers and come to the sea to lay their eggs. These animals, which weigh approximately 4 kg (nine pounds) and are 1.5 meters (seven feet) long, live for some 10 to 15 years. Several species of eel have no scales on their hard and slippery skin. These animals have very strong tails, which they use like digging tools. Some eels are carnivorous, and thus have powerful teeth and jaws. Despite the passage of 95 million years, eels have preserved all the characteristics they were first created with. They have never evolved and turned into any other species, but have existed for tens of millions of years with the same complex features. All fossils prove that Allah creates living things and that life forms never evolved. Bowfins generally live in North America. They are part of the order Amiiformes and are just one of the life forms that have remained the same for millions of years. The 50-million-year-old Eocene Period fossil bowfin you see in the picture defies evolution and shows that despite the intervening millions of years, this life form has not altered in the slightest. The animal’s forward curving head, the tail stuck to its body, its upper and lower fins and its skeletal structure can be seen in all their fine detail. 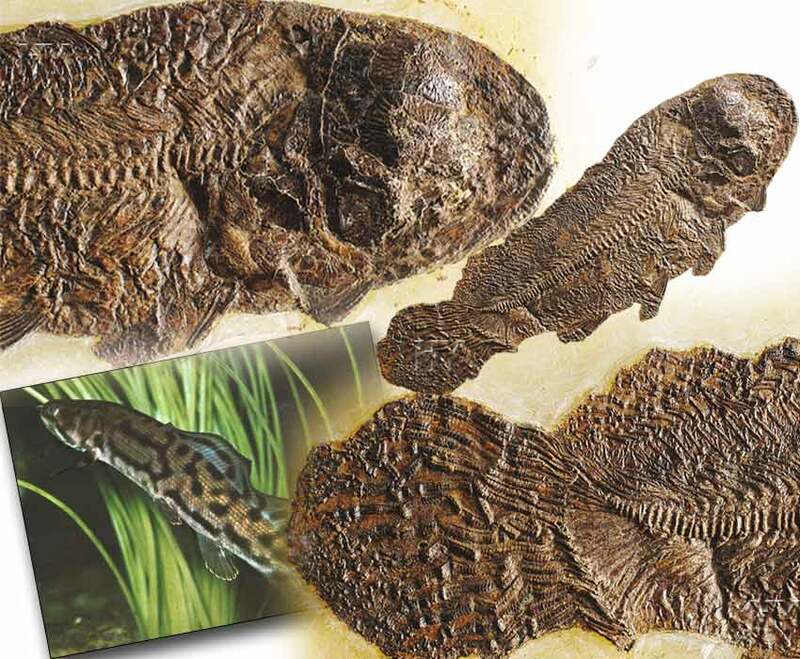 A 50-million-year-old bowfin fossil invalidates Darwinists’ claims and proves that evolution never, ever happened. Sea spiders (Pantopoda) are a class from the arthropod phylum. They are mainly found in the Mediterranean, the Caribbean, Antarctica and the Arctic, though they can be seen everywhere in the world. There are some 1,000 species of sea spider, which can live at depths of up to 7,000 meters (23,000 feet). The long legs emerging from the sea spider’s body are its main distinguishing feature. The 95-million-year-old Cretaceous Period sea spider fossil shown pictured shows, in the clearest way, that this life form never evolved. The theory of evolution is not a truth backed up by scientific evidence, but a superstitious belief adopted in the absence of any evidence at all. Evolutionists fabricate brand new scenarios for the sake of imposing the theory on others, and use the media to try and convince people that these scenarios are true. However the scientific evidence demolishes these carefully invested evolutionist scenarios on every occasion because these claims are all false and imaginary. For example, evolutionists made the most outrageous claims on the basis of coelacanth fossils. But then an unexpected event literally stunned evolutionists. In 1938, a living member of the species Latimeria from the coelacanth family, described as “a transitional form that became extinct 70 million years in the past,” was caught in the open waters of the Indian Ocean. This event nicely served to expose the evolutionist fraud. The coelacanth fossil in the picture, which dates back 290 to 249 million years, has not changed in the least since the day the animal was first created. In addition, between 1952 and 1953, more than 200 other living coelacanths were caught in other regions, particularly in the Comorra Islands. In this way, the scenario of the coelacanth, which evolutionists had sought to depict as an intermediate form, was consigned to the waste basket. The discovery of a living coelacanth, which Darwinists had for years tried to use as evidence of evolution, stunned the evolutionists. 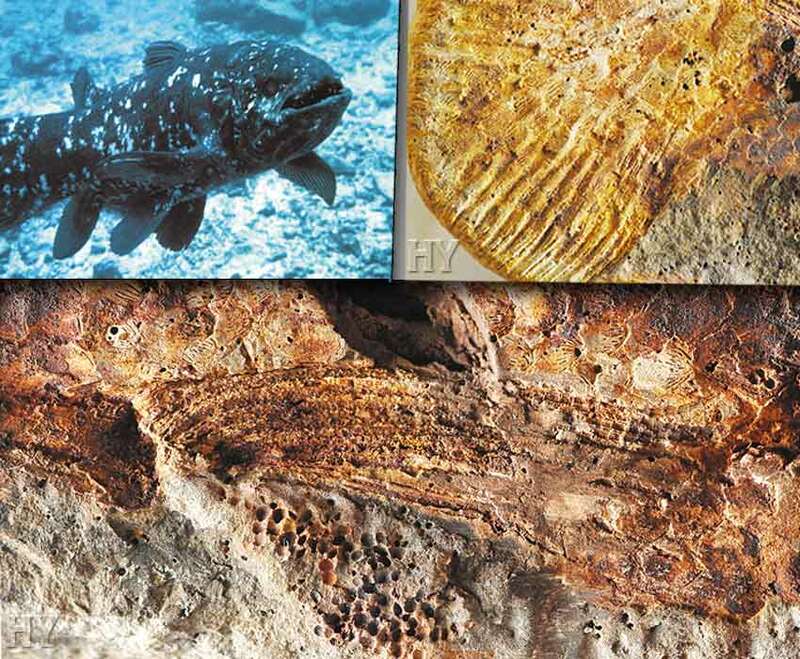 Moreover, examination of the species, which had been thought to have vanished from the face of the Earth at least 70 million years ago, showed that coelacanths have not changed over the course of 400 million years. The deep sea bristlemouth has never changed in the fossil record. The fact that these fish possessed exceedingly complex systems allowing them to produce light millions of years ago is something that evolutionists cannot explain. These are small fish that live in the depths of the oceans and possess light-emitting organs in their bodies. These light-emitting organs are generally in their abdominal regions. The light they emit to illuminate their deep and dark surroundings also serves to warn off predators. The picture shows a fossil specimen of this life form dating back to the Oligocene Period, 37-23 million years ago. There is no difference between this fossil and a living specimen. No matter how much evolutionists try to keep materialism and evolution propped up, all the living fossils in the universe point to creation and the Lord of that universe. Allah created all the universe and all the living things in it from nothing, and gave rise to the Earth and sky. Our Lord Allah is infinitely mightier than everything people try to portray as equal to Him. 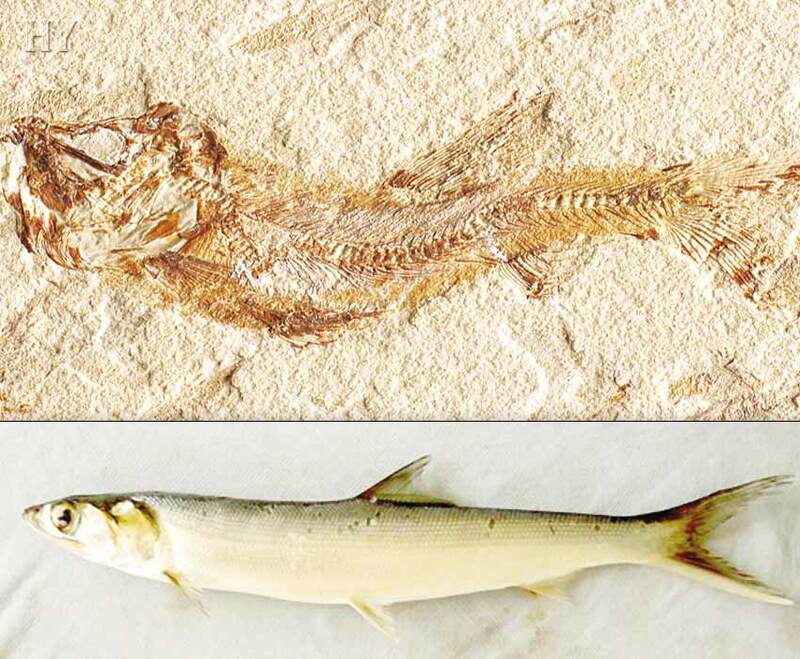 This fossil shows there is no difference between cod fish living 5.3 to 1.8 million years ago and those alive today. It invalidates the evolutionists’ claims. As can be seen from this photograph, despite the passage of between 5.3 to 1.8 million years, this life form has all the same characteristics it did when it was first created. Not the slightest change has occurred in either its head, fins or tail. 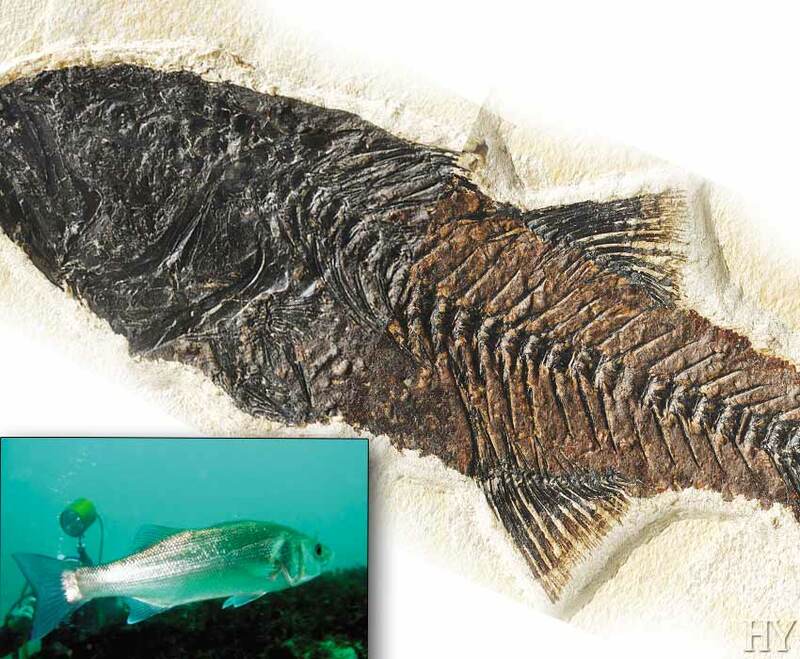 This fossil cod reveals in all clarity that evolution is an imaginary scenario. While there exists not one fossil record to show us that one life form is descended from another, the layers of the Earth are packed with evidence showing that living things have always had exactly the same features. The reality demonstrated by the fossil record is plain to see: life forms have never changed since the moment they were first created, and corals have always existed as corals, and fish as fish. Evolutionists have constantly had to issue apologies over the last 150 years; this is because every scenario they have proposed has collapsed under the weight of scientific evidence. 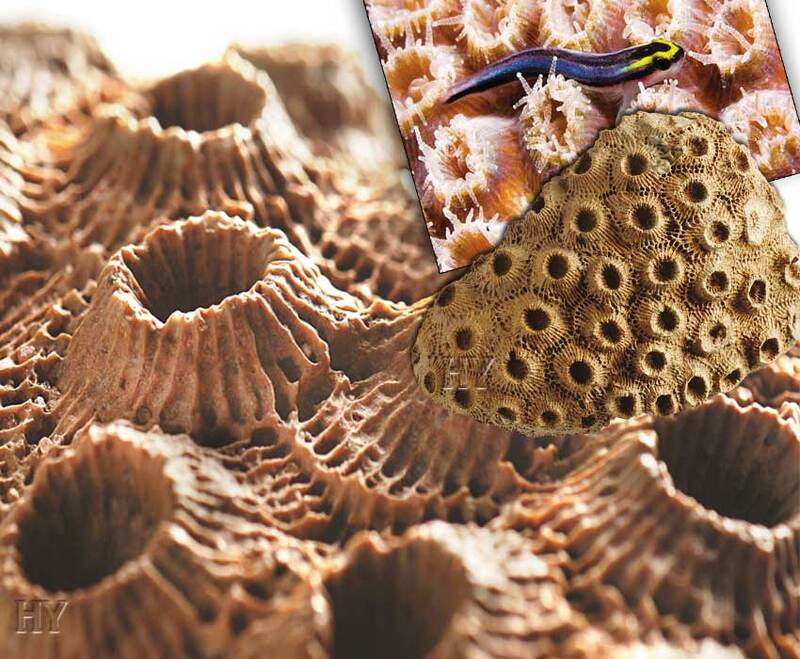 The 350-million -year-old Paleozoic Period moon coral in the picture proves that this life form has never changed, despite the intervening 350 million years. 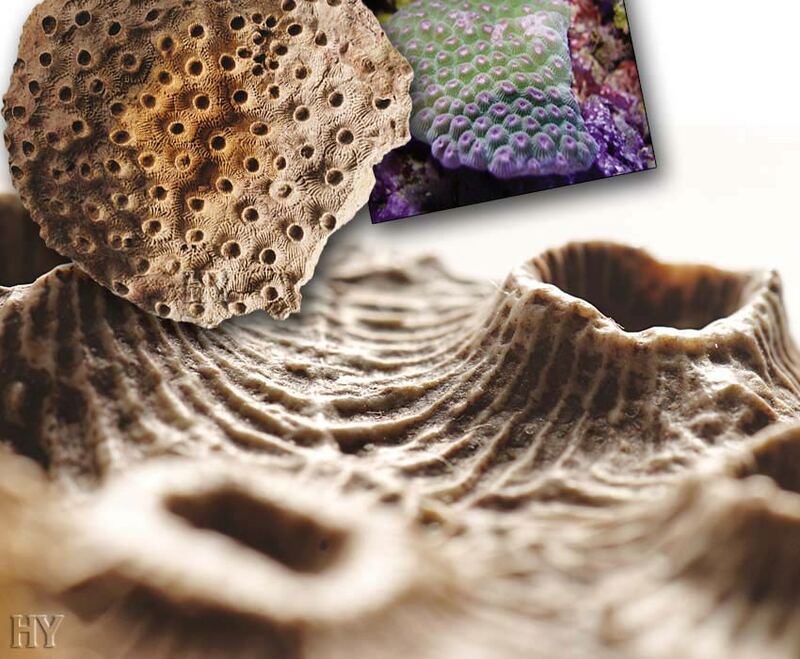 This 350-million-year-old moon coral is identical to a present-day moon coral and once again proves the fact of creation. Observing that species remain astonishingly stable and unchanged over very long periods of time has forced the evolutionists into a tight corner. Paleontologists facing the reality of fossil records that have consistently and insistently refuted the myth of evolution proposed by Darwin were no longer in a position to conceal these facts. Every branch of science clearly shows us that life forms did not evolve, but were created in a single moment. The fossil record refutes the theory of evolution in every way. 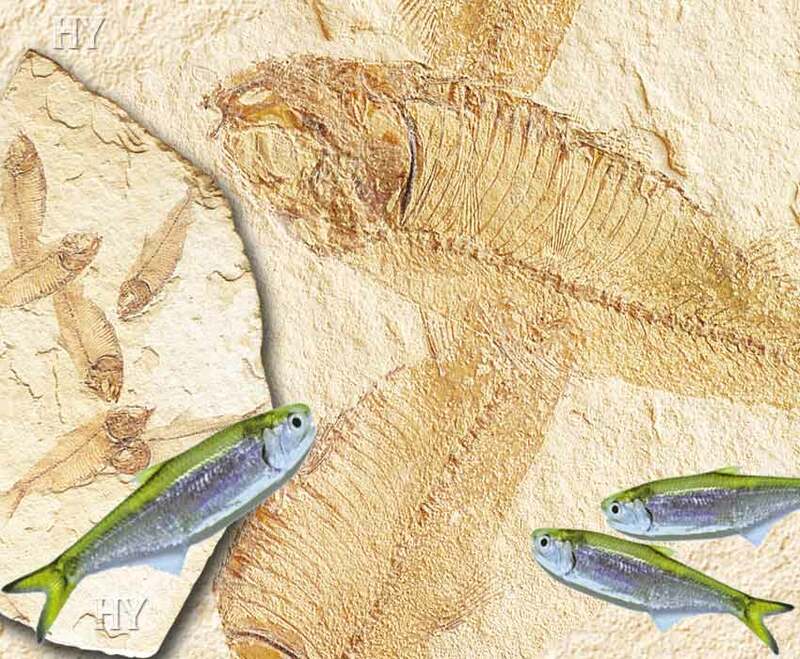 The fossil herring in the picture is between 54 to 37 million years old. There is no difference between herrings that lived 54 to 37 million years ago and those living today. Examination of this 54 to 37-million-year-old fossil shows that its head, fins and tail have not altered in the least. The fact revealed by herring fossils is that life forms do not evolve, and that Almighty Allah created them all. 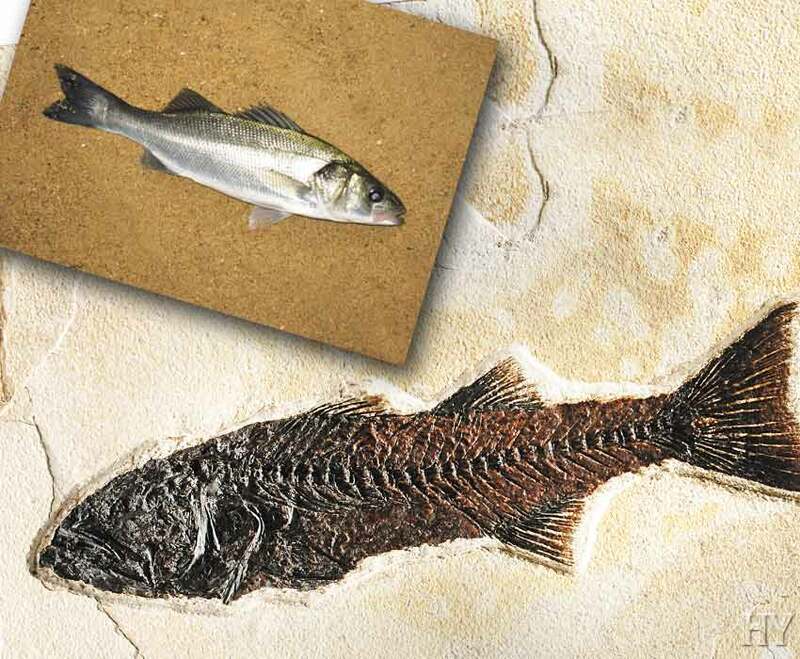 The 50-million-year-old sea bass fossil in the picture once again reveals that the theory of evolution is nothing but nonsense. The animal’s general structure, fins and skeleton can clearly be seen in the fossil and have not changed over millions of years. Millions of fossils show that Darwinists are not telling the truth when they say that life forms constantly change, progressing from the more primitive to the more advanced. 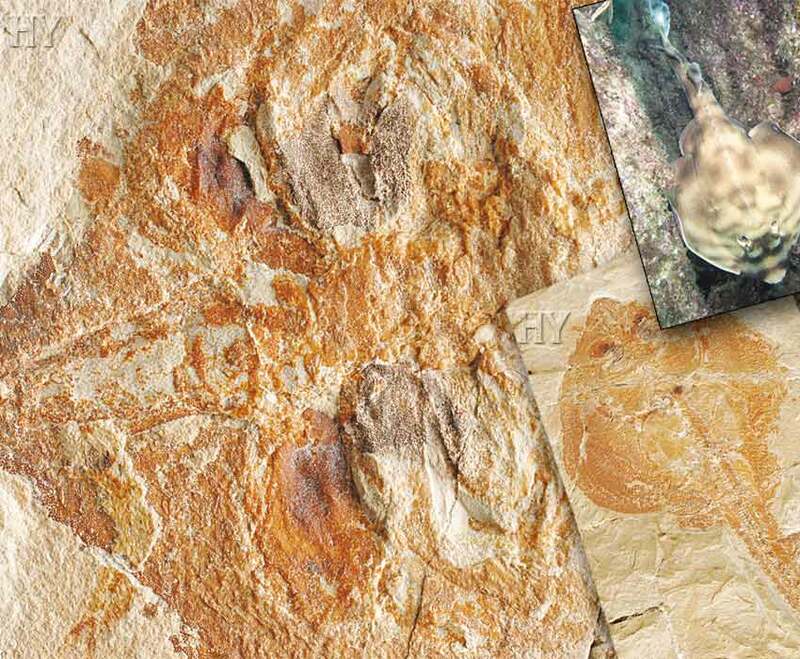 The wonderfully preserved details in the 50-million-year-old fossil below are most striking. As with hundreds of millions of other fossil specimens, this sea bass once again reveals that living things never change. Evolutionists have never tired of making new claims over the years, yet they had to subsequently retract these claims on each and every occasion. They sometimes elected to keep fossils deliberately hidden way, and sometimes they went for imaginary reconstructions. They published the transitional form fossils they drew using the power of their imaginations on the covers of various scientific magazines, but would later have to retract these in subsequent issues of the same publications because the fossil records unearthed subsequently demolished the evolutionists’ claims, one after the other. The 350-million-year-old moon coral in the picture has never changed since the day it was first created. Just like millions of others, this fossil proves that Darwinism is merely a perverse ideology that has nothing at all to do with science. Sea horses are very striking with their external appearance and special structures. They vary between 4 and 30 cm (1.5 to 12 inches) in length and generally live among seaweeds and other plants along coastal strips. Their protective armor keeps these animals safe from danger. That armor is so strong that it is almost impossible to break a dead sea horse with one’s bare hands. 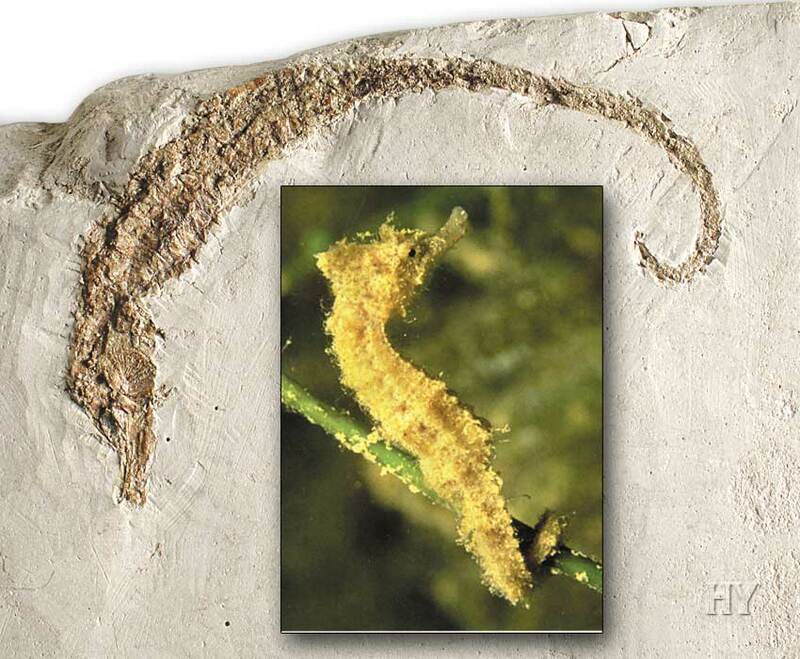 The three-million-year-old sea horse in the picture says that “life forms do not evolve,” and that Allah creates them all. Atlantic argentines from the family Argentinidae are fish that live in the depths of the Atlantic and Pacific oceans. They are approximately 45 cm (1.5 feet) long and live at depths of 145 to 545 meters (475 to 1,800 feet). The great variety in the fossil record, from the smallest terrestrial and marine organisms to the largest, and life forms from the period being preserved literally as if in a photograph, has led to the utter collapse of the theory of evolution. 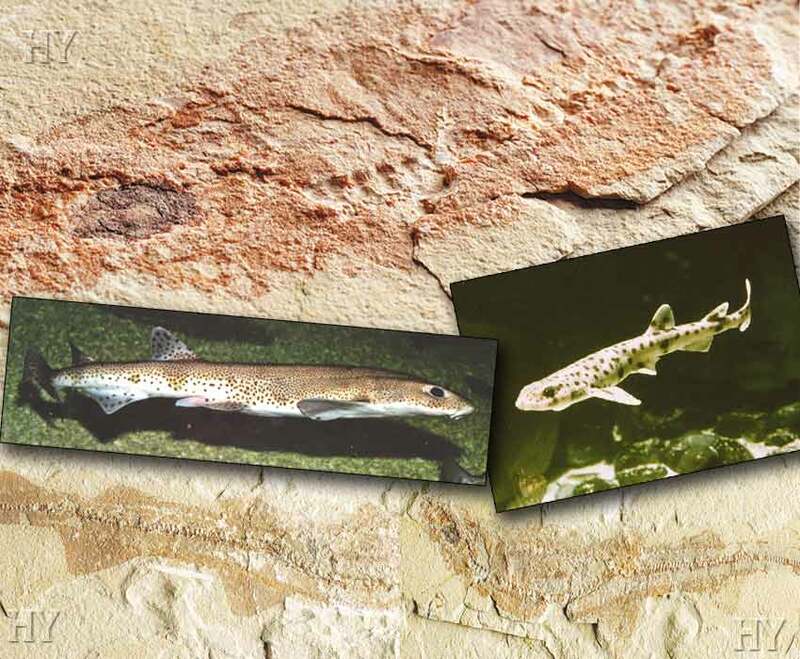 The 35-million-year-old Atlantic argentine in the picture shows that these fish have always remained the same, despite the passage of millions of years. Flashlight fish from the family Anomalopidae live in tropical waters. This species takes its name from the bioluminescence organ in its body. Light-emitting bacteria live in an area beneath the fish’s eyes. The fish uses this light to flee from predators, as well as for hunting and communicating with other fish. 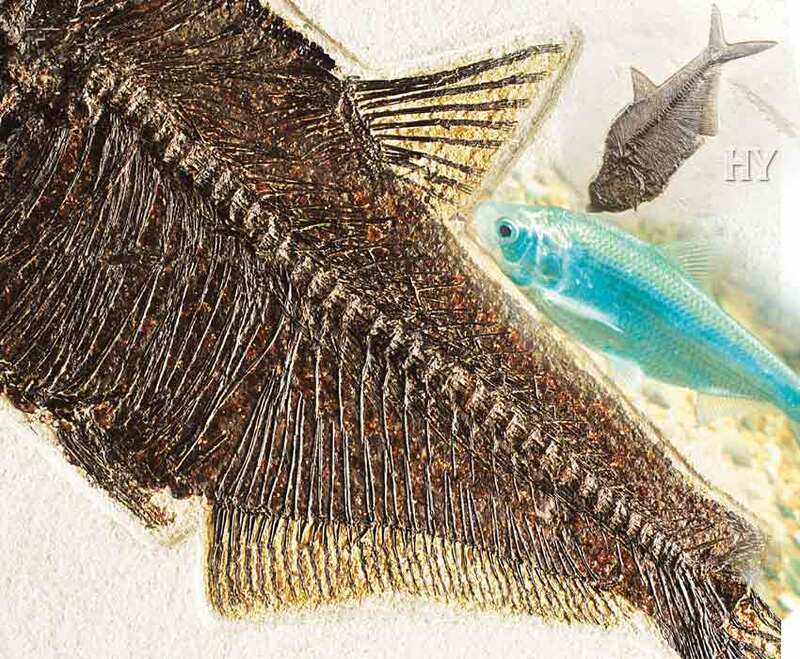 All the details in this 95-million-year-old fish fossil have been preserved. The presence of such a complex system in a life form existing 95 million years ago is an insoluble dilemma for evolutionists, who put forward the scenario that animals develop gradually from the primitive to the more advanced. These complex structures in the bodies of living things show that life forms came into being, not through evolution, but through Allah’s wondrous creative artistry. The guitarfish is just one example of life forms that have not changed over tens of millions of years. Millions of fossils preserved with all their details show that evolution is a base deception and creation the truth, and tell us that the perfection in the universe cannot have come about by chance. By Allah’s leave, the 21st century will be when the Darwinist deception is definitively defeated. Like present-day specimens, guitarfish living 95 million years ago had long, thin tails, small fins protruding from their bodies, and a conical head tapering to a point. So many animals have been fossilized with their unique characteristics that scientists examining the fossil record have had to accept that the theory of evolution has been consigned to the pages of history. Fossils, the remains of Allah's sublime creation, expose evolutionists’ lies in a more powerful manner with every passing day. Dwarf sawfish can be encountered in all the warm seas of the world. They generally live in shallow waters and sometimes travel to the upper reaches of rivers. The young enter the world together with their saws; but they do not harm the mother because they are sheathed in a membrane during birth. Sawfish use these organs as a defensive weapon, and also use them for hunting by waving them to the right and left when they enter among shoals of fish. They also use their saws to dig about in the muddy sea bed. There is no difference between the sawfish in a 95-million-year-old fossil and a sawfish living today. The long, saw-like nose, its pronounced skull shape and the broad fins on the sides of its body can all be made out clearly. Sawfish, which have remained unchanged for millions of years, once again reveal the extent to which the evolutionists are in error. 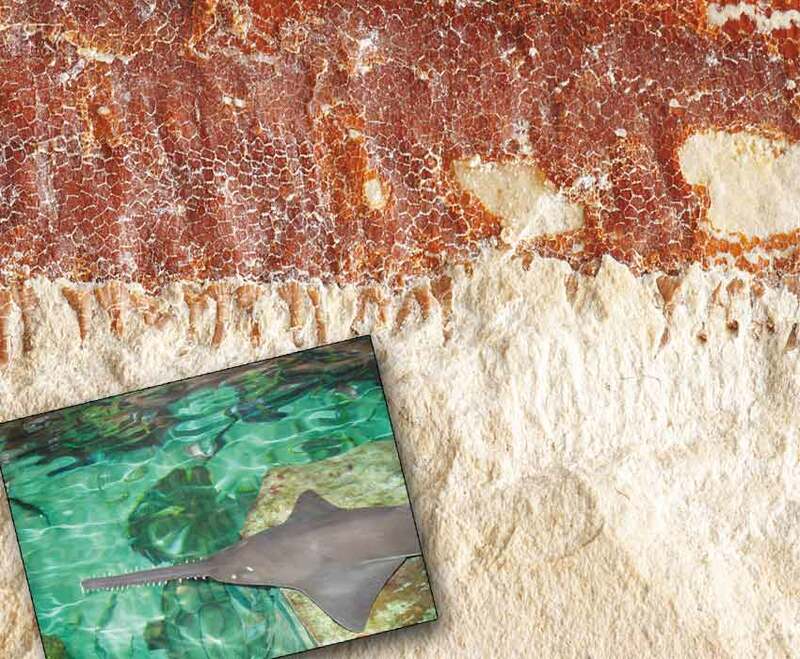 The 95-million-year-old Cretaceous period sawfish fossil in the picture is an example of a living fossil. 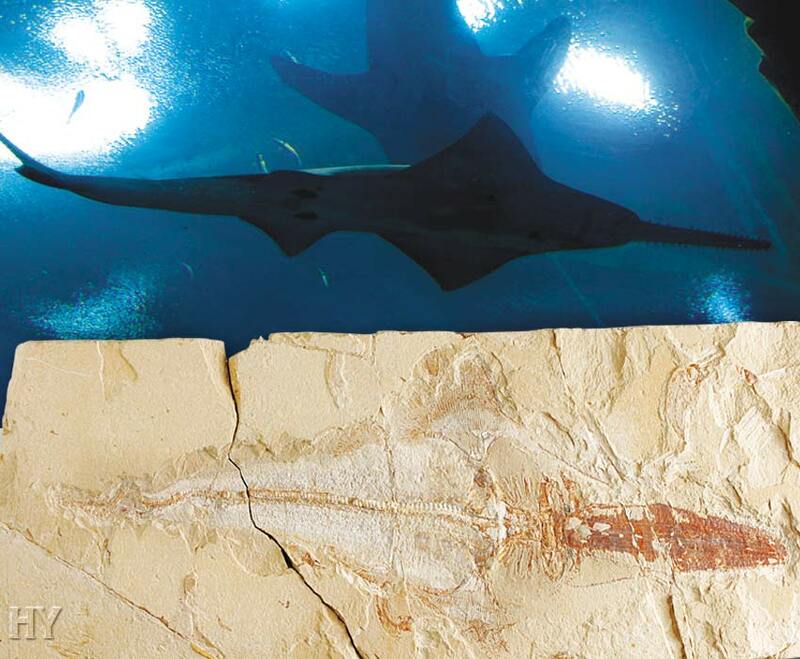 This fossil, with characteristics identical to those of sawfish living today, is just one of the millions of fossils that prove creation. Fossils from the same species exhibit no changes throughout the time they appear in the fossil record. That fact was well-known to paleontologists even before Darwin published his Origin of Species. Darwin prophesied that subsequent generations would find new fossils to fill the gaps; but following all the paleontological research that has taken place over the last 120 years or so, it has become clear the fossil record will not confirm that prediction. 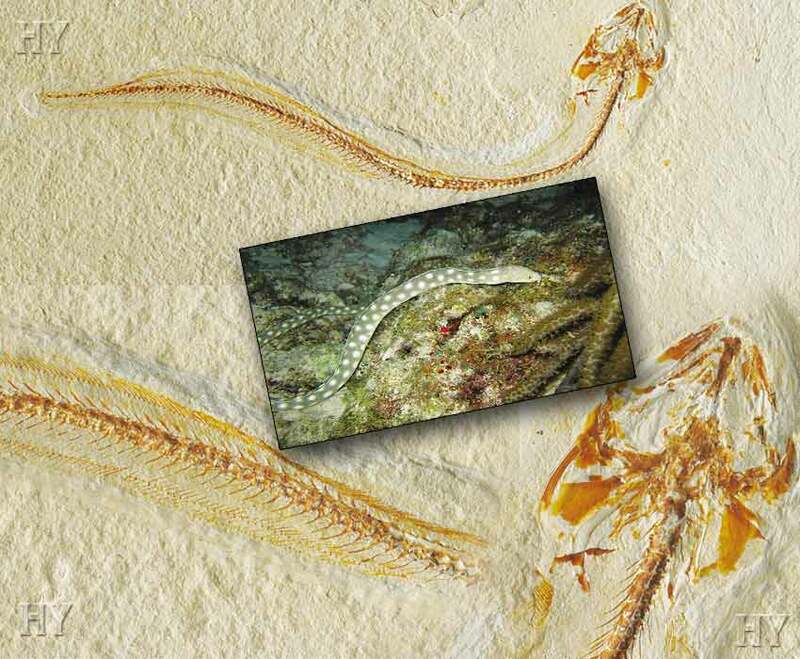 Despite the passage of 95 million years, the eel in the picture has not altered in the slightest. It has never evolved or turned into any other life form. Crabs generally have a thick outer skeleton and a pair of claws. 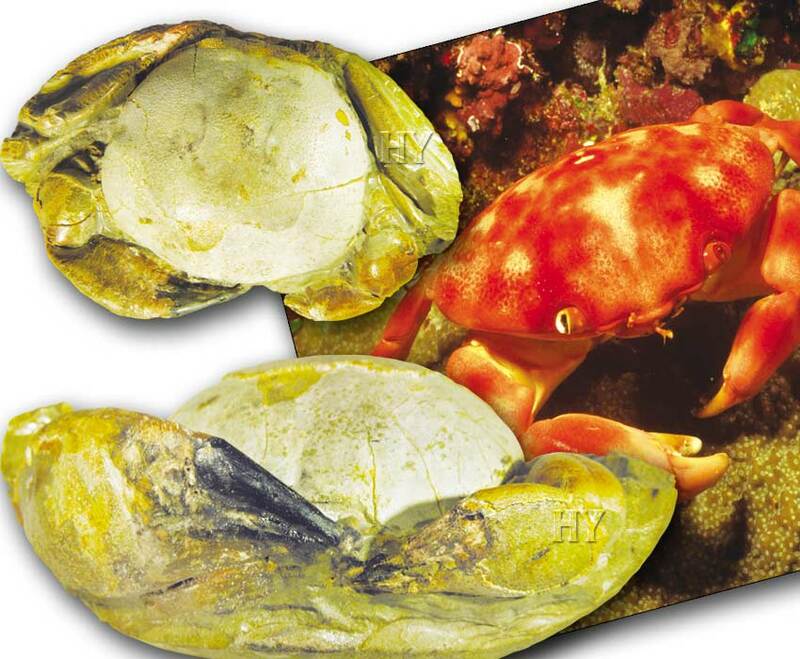 The claws that are typical features of crabs appear in exactly the same form in this 23 to 5-million-year-old fossil. Crabs are life forms that appeared suddenly millions of years ago with the same features they possess today. All the crab fossils discovered have entirely crab-like characteristics. 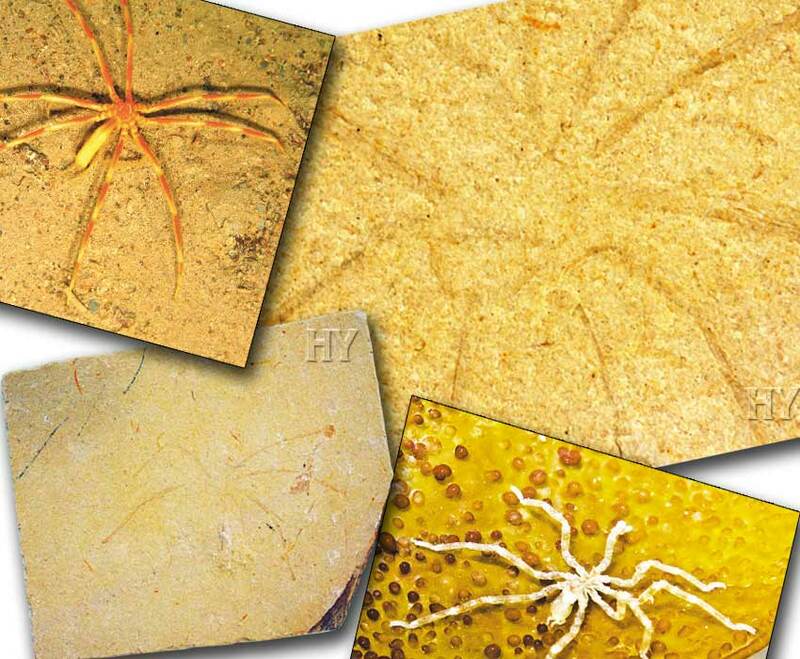 No fossils with missing organs or half-crab, half-other life forms have ever been found. Crabs have always been crabs in all periods of history. The stasis in living things is one of the main proofs refuting the theory of evolution. With the claws on the front of its body and thick outer shell, the 23 to 5-million-year-old fossil crab in the picture proves that the animal has not changed despite the passage of millions of years. Evolutionists have no scientific answer in the face of these facts. The theory of evolution has completely collapsed in the face of fossils that prove creation. Pipefish are a species of boned fish from the family Syngnathidae, and have a long, thin tail. This fish lives in the Atlantic Ocean and the Mediterranean and is approximately 20 cm (8 inches) long. There are no scales on its body. There are no fins on its chest or abdomen. They live among oyster-like crustaceans or in the digestive cavities of sea cucumbers. 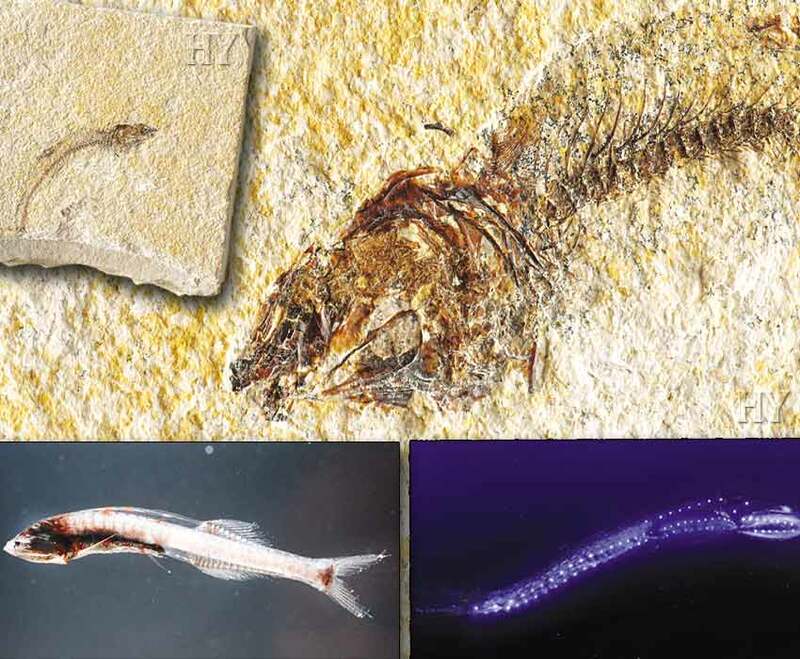 The fish’s long, tubular mouth, long, thin body and long tail can all be made out very clearly in this 23 to 5-million-year-old fossil. The fish’s skeletal structure has even been completely preserved, despite the intervening millions of years. 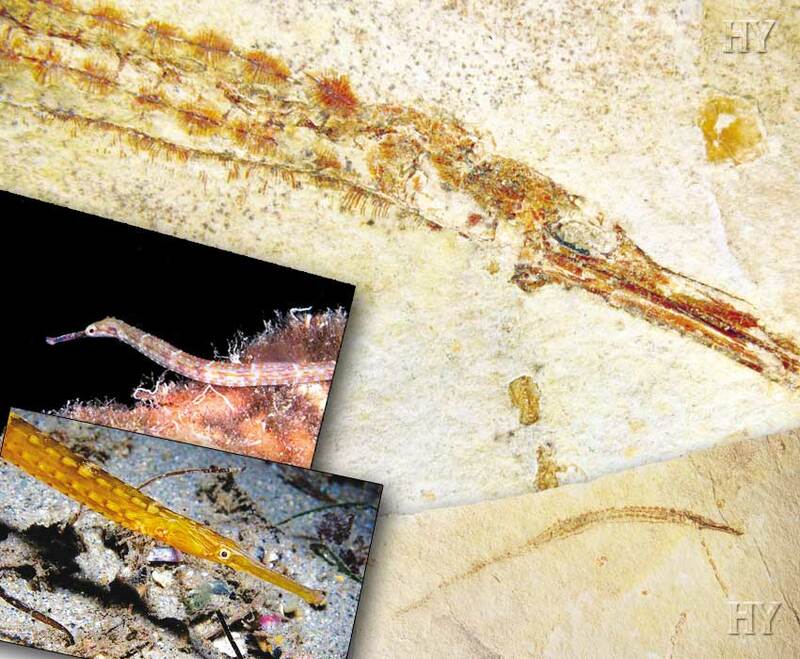 The 23 to 5-million-year-old fossil pipefish in the picture proves that this life form has existed as a pipefish since the day it was first created and has never evolved into any other living entity. 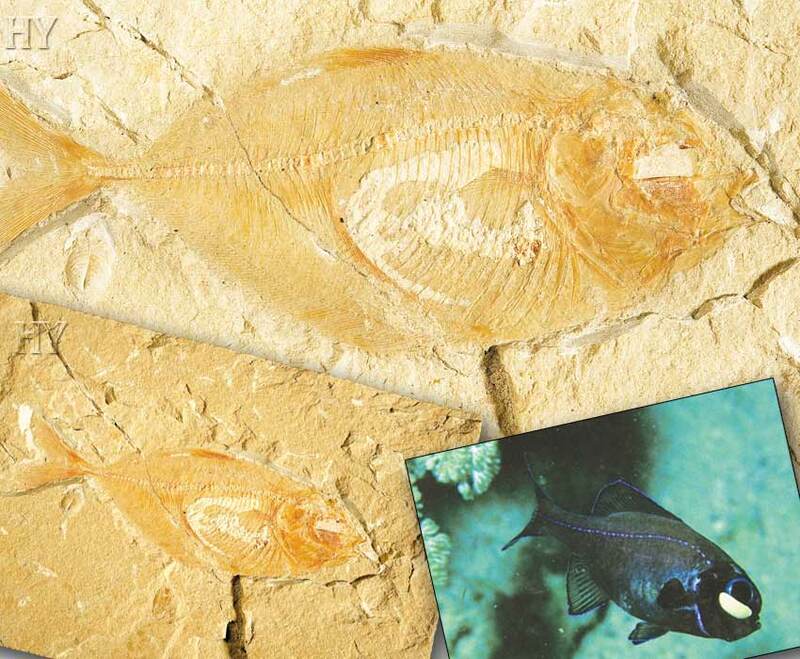 There is absolutely no difference between this 95-million-year fossil and the living boxfish shown beside it. This shows that evolutionists’ claims are a deception, and that creation is a fact. The fact that this tiny fish is equipped with engineering principles that make it a marvelous swimmer is an expression of the glory of Allah's creation. This once again shows that the creation of Almighty Allah, Lord of the Worlds, is flawless, and every new life form investigated reveals that perfection once again. The fossil of this living thing proves, like the fossils of other life forms on Earth, the invalidity of the theory of evolution. 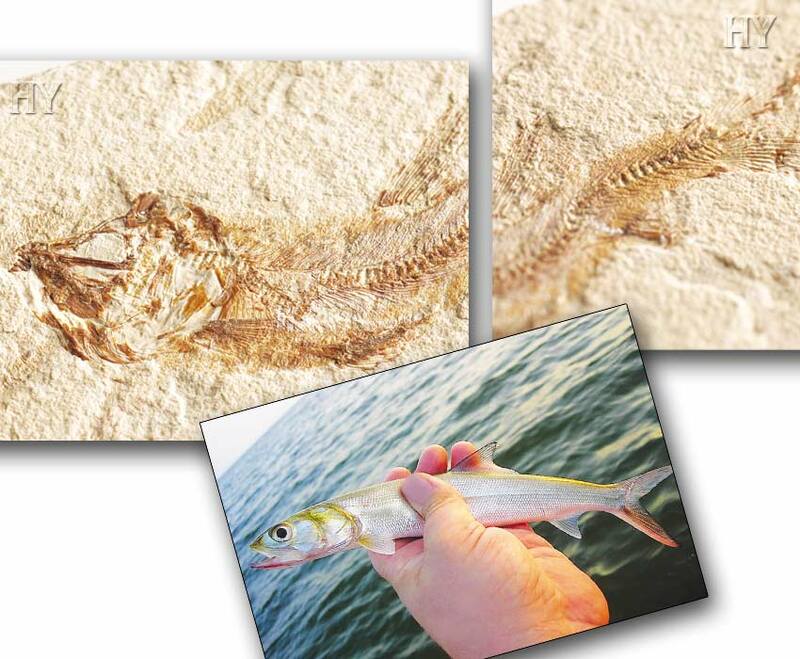 The fact that ladyfish that lived 95million years in the past are identical to ladyfish living today is something that evolutionists can never explain. 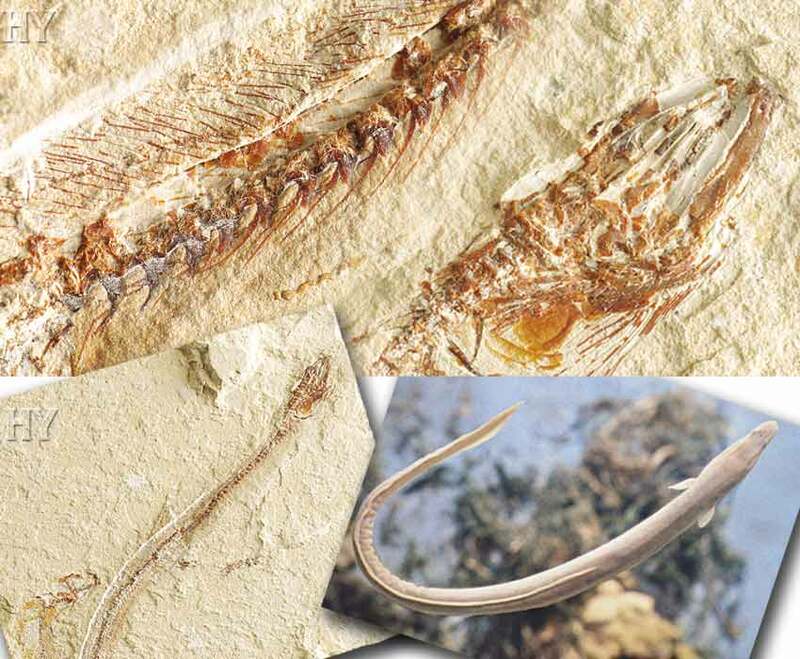 Fossils once again reveal that Allah creates all living things.